Asbestos products were considered light, cheap and durable, with the added quality of being fire retardant. Because of this, asbestos product use in Australia was prolific, especially during the 1950s, 1960s and 1970s when its usage was at its peak. During this time, asbestos products were regularly used in the construction of public buildings such as schools and hospitals as well as in office blocks, factories and private homes. Many buildings even had asbestos sprayed into them for acoustic and insulation purposes. If your home was built before 1980, chances are high it contains asbestos in some form. These days we are aware of how dangerous asbestos truly is. When asbestos products deteriorate or are disturbed, dangerous minute asbestos fibre and dust, that are frequently not visible to the naked eye, are released. When inhaled or swallowed the asbestos fibre can lodge in internal organs and cause cancer many decades later. Asbestos disease usually takes about two decades or more to develop after asbestos exposure occurs. Not everyone exposed to asbestos will develop an asbestos related disease. The greater the exposure to asbestos, the greater the risk of disease. However, some people have developed asbestos cancer after only minor asbestos exposure. To put it shortly: There is NO safe level of asbestos exposure. It is for this reason the use of asbestos was banned throughout Australia on 31 December, 2003. We at All Areas Demolition Excavation take asbestos removal very seriously. We are fully licensed to remove both Bonded and Friable Asbestos and take pride in our levels of safety and care. 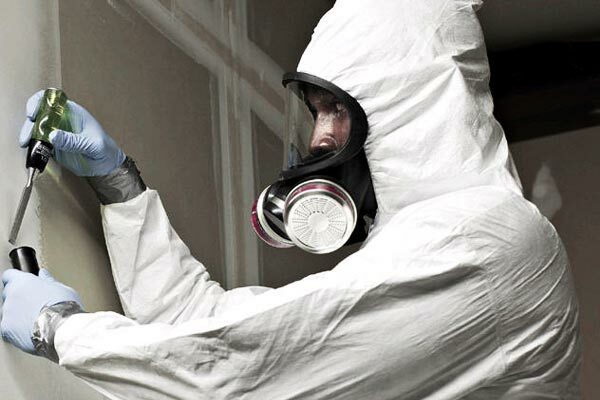 The safe and proper removal of Asbestos is quickly becoming the most requested service we provide. We can also have asbestos samples taken and tested to ensure that any asbestos on site is identified and removed if positively tested. All of our employees working on asbestos removal are fully trained and certified in both Bonded and Friable asbestos removal and have years of experience. We have completed projects both large and small, for private home owners and large commercial and governmental projects. We also take full responsibility disposing of asbestos material – asbestos leaving site are triple wrapped in 200um black plastic or contained within a Hazibag and deposited at waste management facilities that are approved by the Department of Environmental Protection.